It was a rainy Wednesday eve in London when both my body and my soul were calling for something filling, hearty and warming. 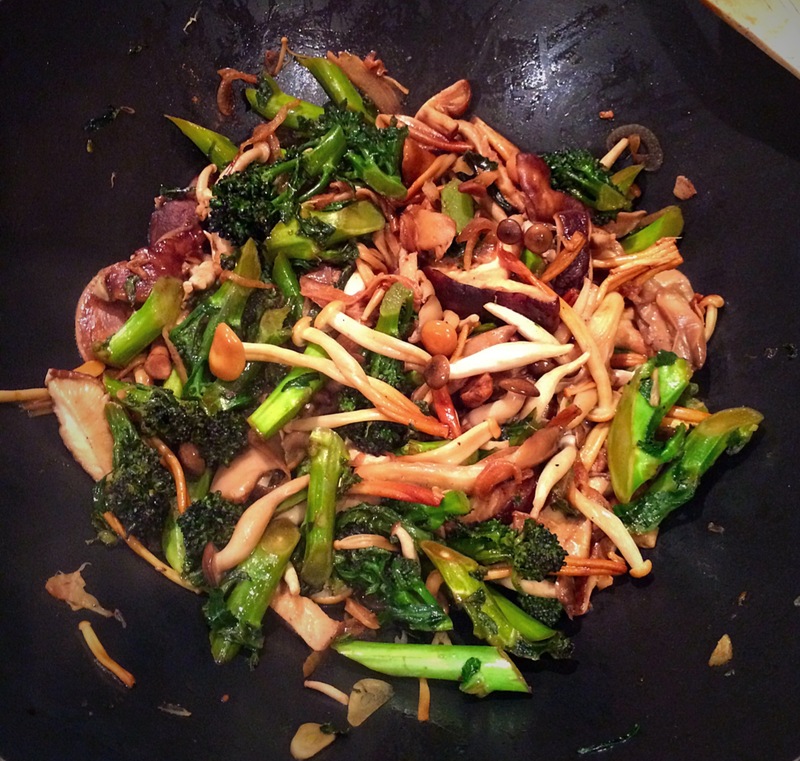 Knowing that all I had left in the fridge was some exotic mushrooms, two duck legs and purple sprouting broccoli I first wasn’t quite what to do. Thanks to the great era of internet it didn’t take me long to find an inspiration. But then I looked into my wine racks and faced the next problem. The few classic matches I found – a few bottles of my favorite New Zealand Pinot Noir and some Merlot based Bordeaux were waiting for a more special occasion while fuller bodied big South African and Aussie wines I had available would have put my palate on fire if combined with the rather spicy dish I had in mind. 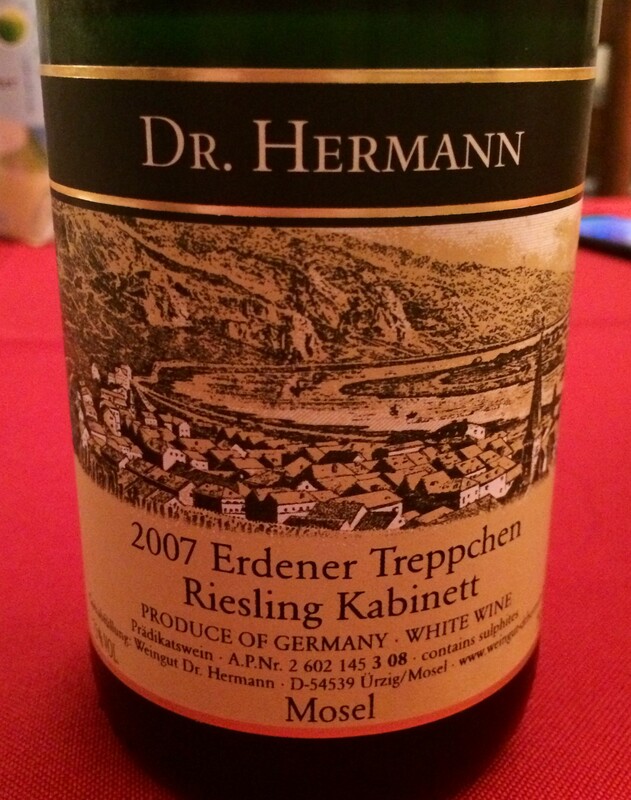 But then I noticed an old friend tucked away and almost forgotten about – a 2007 Dr. Hermann Erdener Treppchen Riesling Kabinett from Germany. Knowing this would be at least an off-dry and very fruity wine I thought it might be a good combination with the sauce and seasoning of the dish, even if a very unusual one with the duck itself. So I decided to be brave and give it a shot, especially because my drinking window note on the bottle said 2011-2016. First to the food: I used this recipe as a rough guide but did modify it quite a lot. 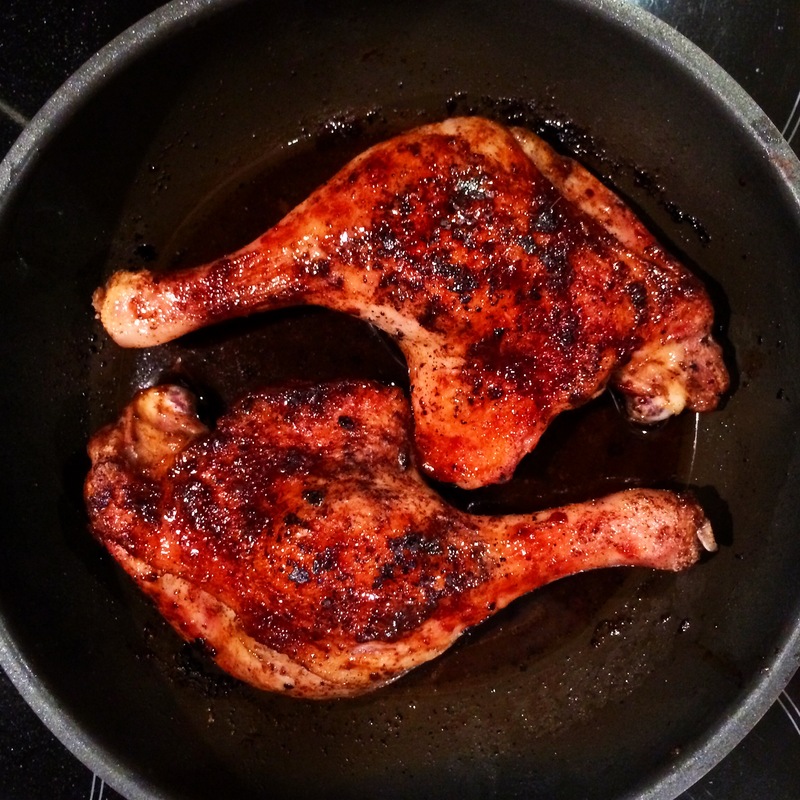 I used duck legs rather than breast, first browned it in a stove-to-oven frying pan without any additional oil (if you fry your duck skin side down first it will give off more than enough fat!) and put it into the oven on medium heat to finish off. Before moving the duck to the oven I put a few drops of agave sirup and a splash of soy sauce over the duck. Now to the wine: I like German Rieslings a lot. 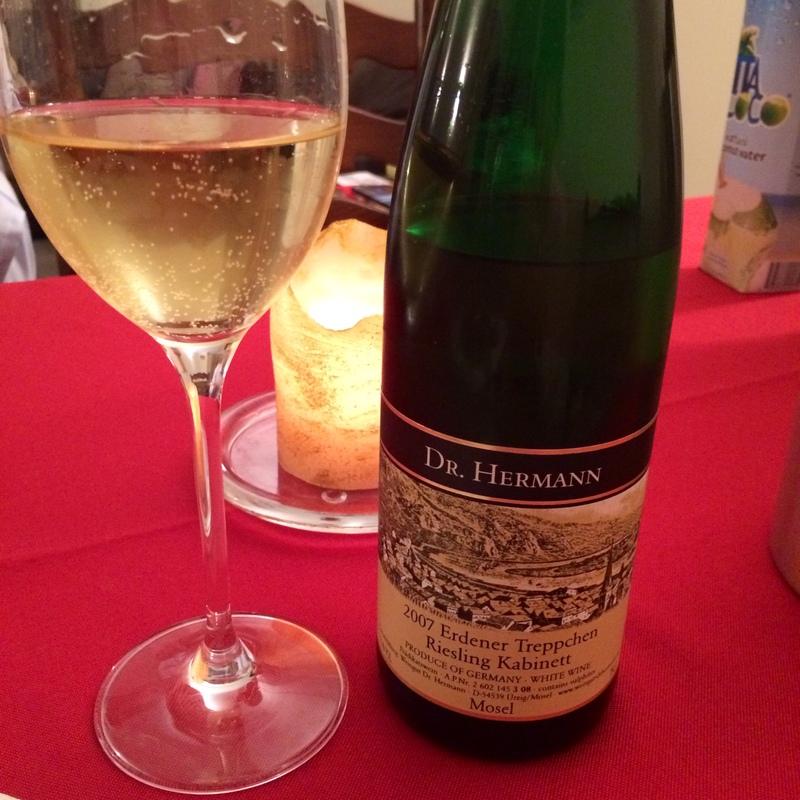 They are often very good value for money, most are very good quality (like anything made in Germany really) and even if they are on the sweeter side, their mouthwatering high acidity levels make them very easy drinking wines. As I mentioned before it took me courage to pair this Chinese style duck with a Riesling. I was hoping for the chilli, Chinese five spice mix, garlic and ginger to match and play well with the sweetness of the wine, and at the same time the sweetness of the wine to balance off the heat of the food. Luckily my expectations were fulfilled! I absolutely loved this food and wine pairing and it turned out to be just as I wanted! What else was amazing about it is how the sweetness from the agave sirup and the sweetness of the wine harmonized with each other, it was like a match made in heaven! It is always a such a delight to find new fantastic food and wine pairings rather than always going to the well-known classics (as e.g. Pinot Noir or Merlot with duck)! In my opinion this wine represents an excellent value for money (I got it for under £10 at Majestic a while ago) but this vintage seems to be no longer available in the UK. However, if you got too curious about this great wine please do let me know and I will do my best to help you source it.